2018-2019 Budget Statement: Advancing Our Journey to Self-Sustainability through Strategic Investments. Presented by the Hon. Donaldson Romeo, Premier and Minister of Finance and Economic Management. Delivered in the Legislative Assembly, 23 April 2018. 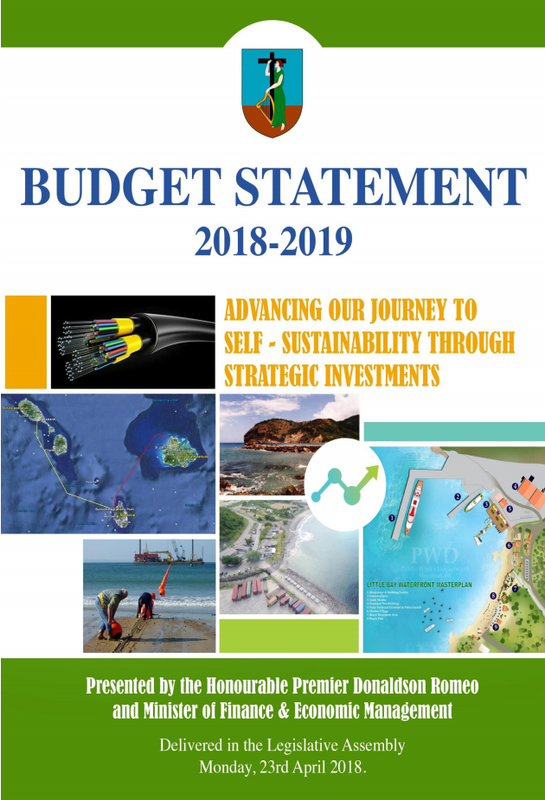 2018 2018-2019 Budget Statement: Advancing Our Journey to Self-Sustainability through Strategic Investments. Presented by the Hon. Donaldson Romeo, Premier and Minister of Finance and Economic Management. Delivered in the Legislative Assembly, 23 April 2018. 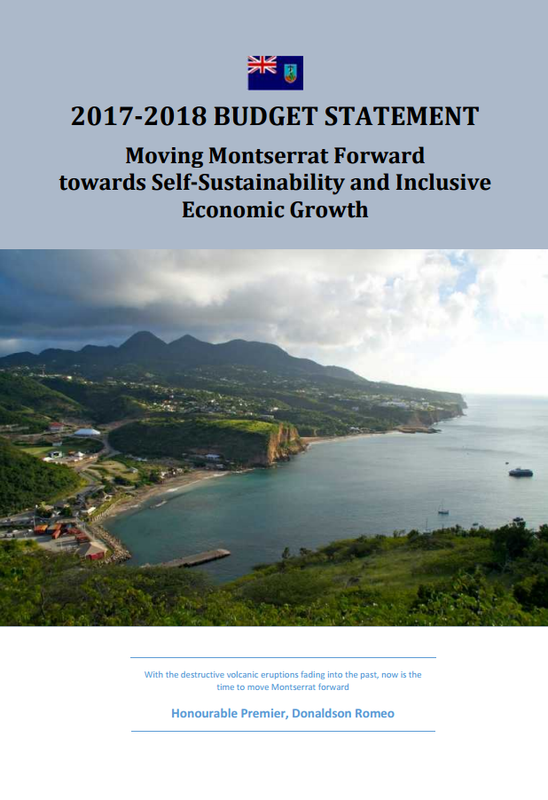 2017 2017/18 Budget Statement: Moving Montserrat Forward Toward Self-Sustainability and Resilient Economic Growth. Presented by the Hon. Donaldson Romeo, Premier and Minister of Finance and Economic Management. Delivered in the Legislative Assembly, 9 June 2017. 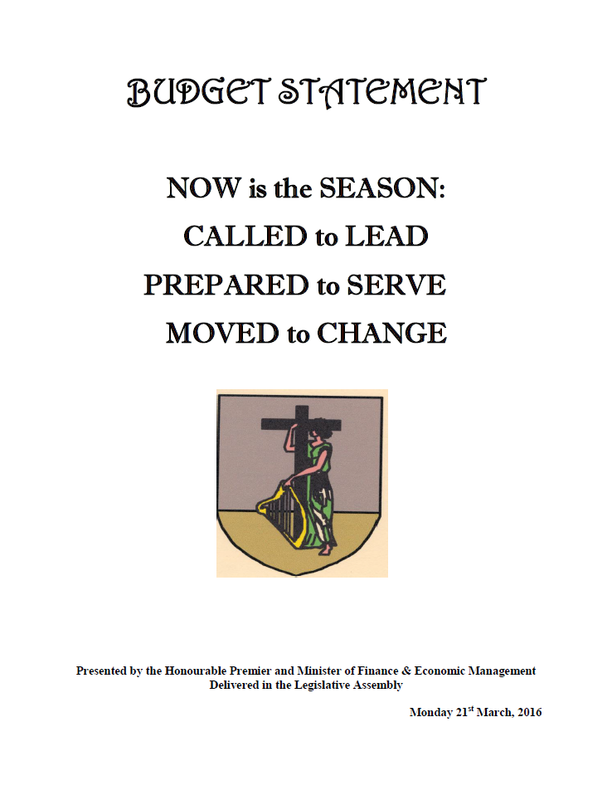 2016 2016/17 Budget Statement: Now is the Season: Called to Lead, Prepared to Serve, Moved to Change. Presented by the Hon. Donaldson Romeo, Premier and Minister of Finance and Economic Management. Delivered in the Legislative Assembly, 21 March 2016. 2015 2015/16 Budget Statement: Revise, Rebuild, Restore: Destiny Calls, Let us Arise. Presented by the Hon. Donaldson Romeo, Premier and Minister of Finance and Economic Management. 24 March 2015. 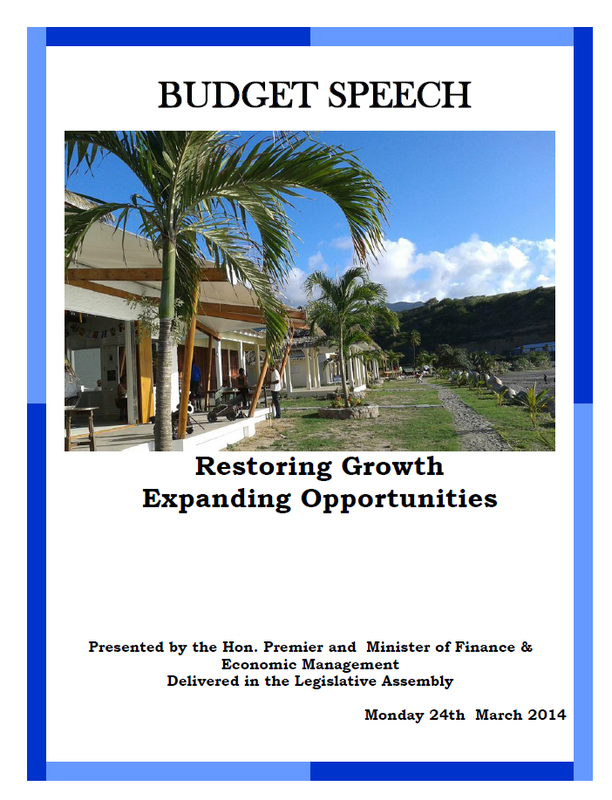 2014 2014 Budget Statement: Restoring Growth, Expanding Opportunities. Presented by the Hon. Premier and Minister of Finance and Economic Management. 24 March 2014. 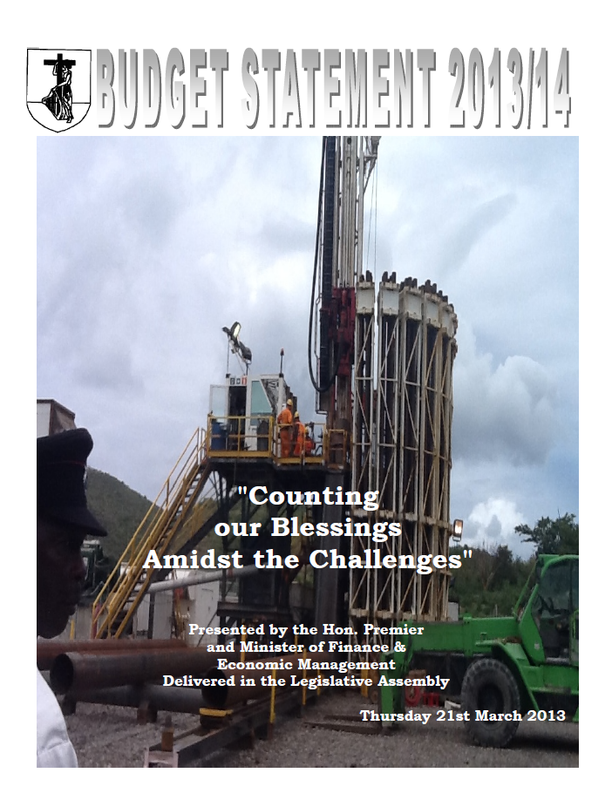 2013 2013 Budget Statement: Counting our Blessings amidst the Challenges. Presented by the Hon. Premier and Minister of Finance and Economic Management. 21 March 2013. 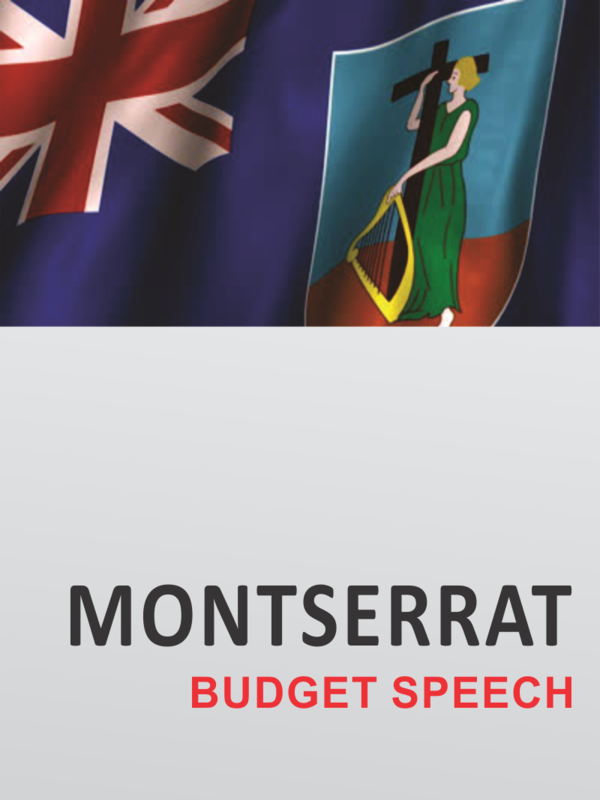 2012 2012 Budget Statement: Securing a Sustainable Future for Montserrat. 2009 2009 Budget Statement: Maintaining Financial Stability in the Face of Global Economic Turmoil. 2008 2008 Budget Statement: Rebuilding the Private Sector as the Engine of Growth. 2007 2007 Budget Statement: Investing Today for a Sustainable and Equitable Tomorrow. 2006 2006 Budget Statement: Building Strong, Efficient and Sustainable Institutions for Development. 2005 2005 Budget Statement: Investing in a People-centered Agenda. 2004 2004 Budget Statement: Rising from the ashes … promoting growth and stability. 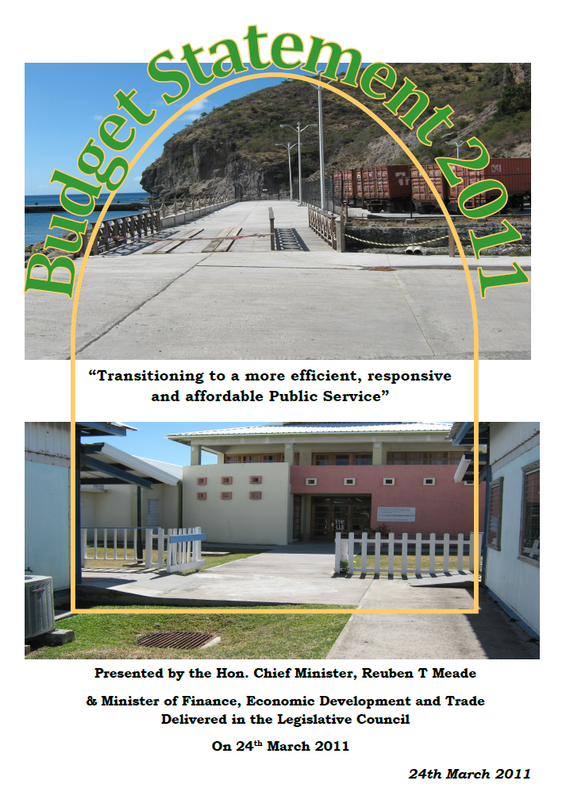 2003 2003 Budget Statement: Towards a New Era . . . Getting the Fundamentals Right. 2002 2002 Budget Statement: Securing Sustainability in a Constraining and Dynamic Global Environment? 2001 2001 Budget Statement: Building Self-Sufficiency and Earning The Right to Choose…Presented by the Honourable Dr. John A. Osborne, Chief Minister and Minister of Finance, Economic Development and Trade. 27 April 2001.